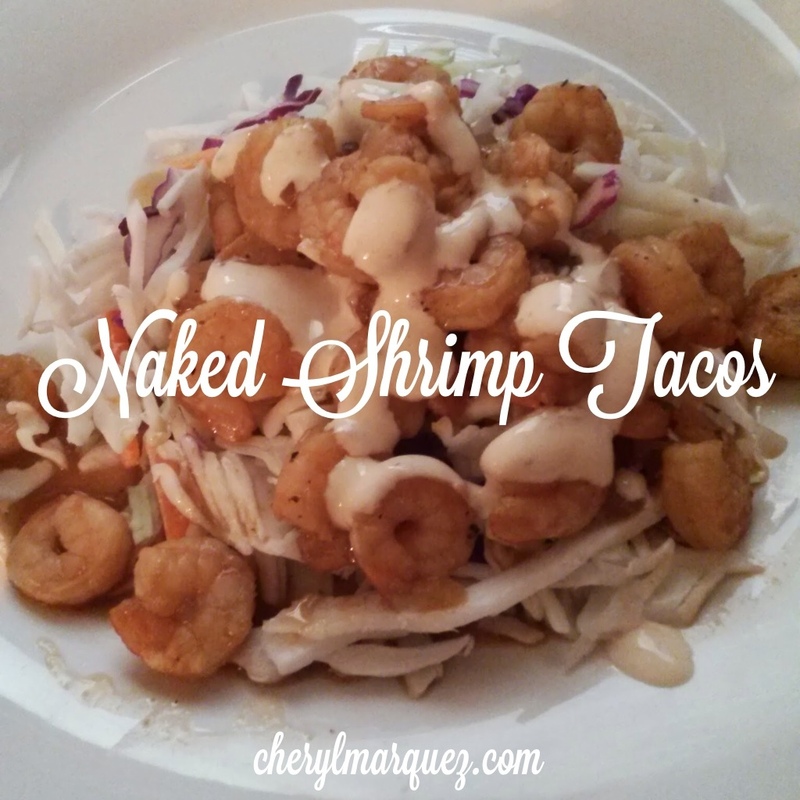 Mark’s kids were craving shrimp tacos so we headed to the store to grab what we needed to make them. As much as I love shrimp tacos, I was thinking about how to eat them so I got the flavor without the carbs. What I ended up doing was using the slaw as the base, scooped the shrimp over the slaw, then drizzled the homemade Baja sauce over it. I had a side of fish from Mark’s fish tacos and veggies (not pictured). It was pretty yummy! I took the tails off the frozen shrimp. Then add 1 tablespoon of coconut oil to the pan, after it melts, add the diced onion and sautee until translucent. Next add the thawed shrimp and pour the entire package of the fajita mix to the shrimp. Let the shrimp simmer in the sauce for about 10 minutes to absorb the flavor. While it’s doing that make the Baja sauce. Add the mayo, crema Mexicana or sour cream, the lime juice, sea salt and cracked pepper to a bowl and whisk it together. Start with the juice of half a lime, whisk, then taste. We liked ours with a strong lime flavor so I used 2 limes. Next, you can just add the slaw to the plate, scoop your shrimp over it with some of the fajita sauce, then drizzle with a little bit of the Baja sauce. Yummy!